Ok, Ok. Alright already. I know it’s time to get on the bandwagon and be all creative with leftover turkey. Sheesh. What’s so wrong with a turkey and cranberry sandwich?? Fiiiiiiine. Here. Creamy Garlic Turkey over fresh Rainbow Pasta by Me. 1- Bring a pot of salted water to boil. Remember the fresh pasta only needs 3 minutes to cook, so make sure you’re almost done with everything else when you throw it in. 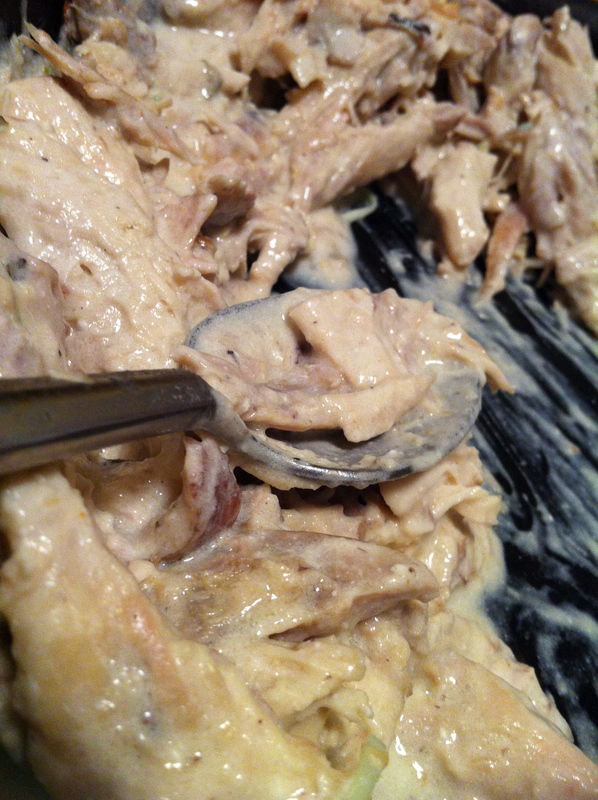 2- Over a medium flame heat 1 Tablespoon of Garlic Confit and 1/2 cup of leftover Turkey Gravy in the biggest pan you have. 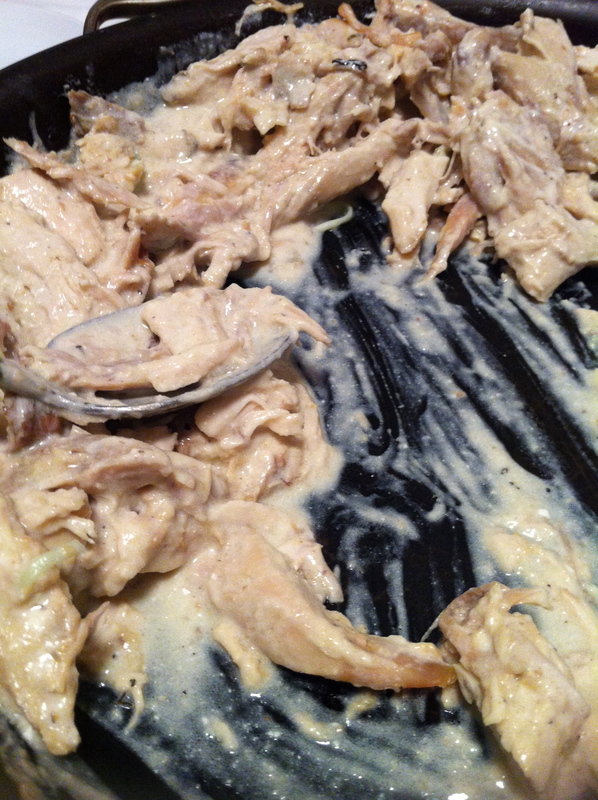 When it is all warmed up add in a bunch of leftover turkey (I used probably 3 cups) and stir to coat. Let that heat up for about 10 minutes while the pasta water comes to a boil. Taste it to check it’s getting warm. 3- When the pasta water comes to a boil, take the Turkey off heat (that means take the pan off the stove or turn off the burner). Toss the pasta into the boiling water. Now add the sour cream to the turkey and stir to coat. Taste and adjust salt and pepper to taste. 4- Drain pasta, reserving 1/2 cup pasta water to add to turkey if you need it. I served them separately, but do as you feel best. 5- Soothe screaming children with fun colored pasta and then ask them to stop putting it in their ears. 6- Accept the beer your husband hands you and sit down to a dinner of Creamy Garlic Turkey over Rainbow Pasta.